This notice applies to all information collected on the Company Host website, or submitted to Company Host at any time through any of our services on the website. Personally Identifiable Information – When visiting Company Host Website and signing-up for or using an Company Host powered service such as registering for a domain or Hosting, our Forum, Tell-A-Friend or Reporting Abuse, you may choose to supply Company Host with information that identifies you personally. This information may include your name and contact information, as well as other demographic or commerce related information. We do not link this automatically collected data to personally identifiable information. IP addresses are tied to personally identifiable information to prevent and block abusers to keep using our services such as members who violates our terms of service. If you choose to use our referral service to tell a friend about our site, we will ask you for your friend’s name and email address. We will automatically send your friend a one-time email inviting him or her to visit the site. Company Host stores this information for the sole purpose of sending this one-time email and tracking the success of our referral program. When we receive email, we use return email addresses to reply with the information requested. Such addresses are not used for any other purpose and are not shared with outside parties. When supplying contact information to Company Host you can indicate your preference if you would like to be contacted to receive information and updates about our services by logging in to your Company Host account, going to your member profile page and choose not to receive any further notification emails from us or other information pertaining to Company Host. Information you submit to us will not be used for this purpose unless you indicate this as your preference. When supplying contact information to Company Host you can indicate your preference on your members profile page to participate in the Company Host program if you would like to receive special offers from other companies that we think may be of interest to you through our periodically newsletter. Information you submit to us will not be used for this purpose unless you elect to participate in the Company Host program or otherwise consent. 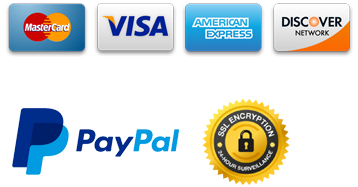 You will receive a confirmation email from us when placing an order on our site and paying through one of our trusted 3rd parties such as PayPal or WorldPay. They only share back information with us about the transaction such as your name, item ordered, email address, etc. If you no longer wish to receive our newsletter and promotional communications, you may opt- out of receiving them by following the instructions included in each newsletter or communication or by emailing us at opt-out@companyhost.co.uk. We offer an opportunity to opt- out of certain communications on our member profile page, or you may contact us at opt-out@companyhost.co.uk or to Company Host, 218 White Foot Lane, Bromley, Kent, BR1 5SQ to opt-out. Generally, you may not opt-out of service related communications (such as replying to your emails, order confirmation emails, etc.) which are not promotional in nature. If you do not wish to receive them, you have the option to deactivate your account by contacting us at opt-out@companyhost.co.uk. We share aggregated demographic information about our user base with our partners and advertisers. This information does not identify individual users. We use non-identifying and aggregate information to better design our Web site and services, and to share with advertisers. For example, we may tell an advertiser that X number of individuals visited a certain area on our Web site, or that Y number of men and Z number of women use a certain service, but we would not disclose anything that could be used to identify those individuals unless they indicated this as their preference by participating in the Company Host program. Company Host considers email transmitted via our service to be the private correspondence between the sender and recipient. We will not monitor, edit or disclose the contents of a user’s private communications, except as required by law, to comply with legal process, if necessary to enforce the Service Agreement, to respond to claims that such contents violate the rights of third- parties, or to protect the rights or property of Company Host. By using the service you agree that technical processing of email communications is and may be required to send and receive messages, to conform to the technical requirements of connecting networks, to conform to the limitations of the Service, or to conform to other, similar technical requirements. By using the service you acknowledge and agree that Company Host do not endorse the content of any user communications and are not responsible or liable for any unlawful, harassing, libelous, privacy invading, abusive, threatening, harmful, vulgar, obscene, tortuous, or otherwise objectionable content, or content that infringes or may infringe the intellectual property or other rights of another. The security of your personal information is important to us. We follow generally accepted industry (GDPR) standards to protect the personal information submitted to us, both during transmission and once we receive it. No method of transmission over the Internet, or method of electronic storage, is 100% secure, however. Therefore, while we strive to use commercially acceptable means to protect your personal information, we cannot guarantee its absolute security. This Website contains links to other sites that are not owned or controlled by Company Host. Please be aware that we, Company Host are not responsible for the privacy practices of such other sites.